Edit: since the update of the graphical design of the Google Calendar app into a much more suitable one, with more space for the events, zooming ability, week view and more, reverting to the older version is not necessary anymore. If possible keep the most updated version, which is the most secure. 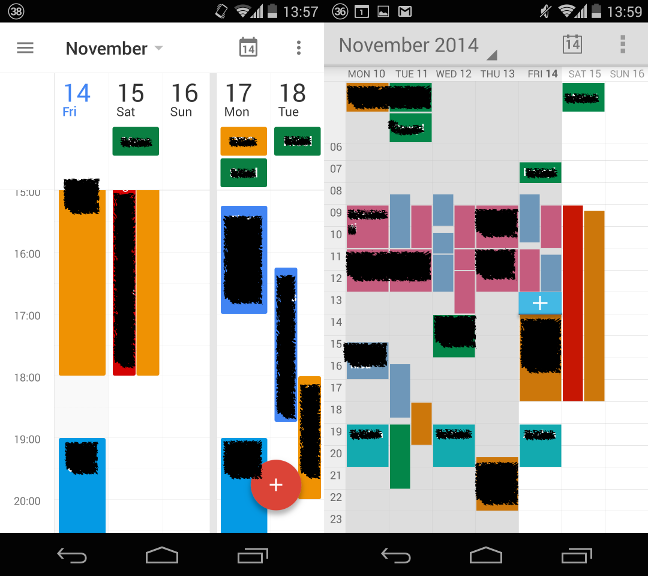 The update of the Google Calendar app for Android as for today doesn’t simply fit my needs and I decided to return to the earlier version of the app. the bars on the upper and left border and even the “all day events” bar got so bigger that the rest of the calendar is way too small and I can’t see anything. I really didn’t expect a failure like this from Google. Usually they never disappoint. 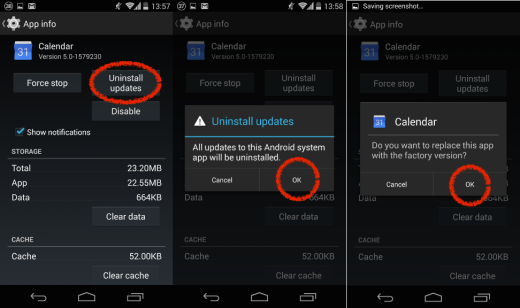 On Android 4.4.4 Kitkat it’s possible to uninstall any updates to the apps that were included in the original stock operative system, like Google+, Camera and Calendar. It should work on every other version of Android, but I’m not sure about Lollipop since it may have the new version of Calendar installed by default. Warning! Your data may get deleted if you haven’t done a sync with Google. Perform a sync first and everything should be OK. Warning 2! The rollback goes quite back in time so every update of the Calendar app between the release of your version of Android and the last version is irretrievable. This includes security updates. The steps are really simple. 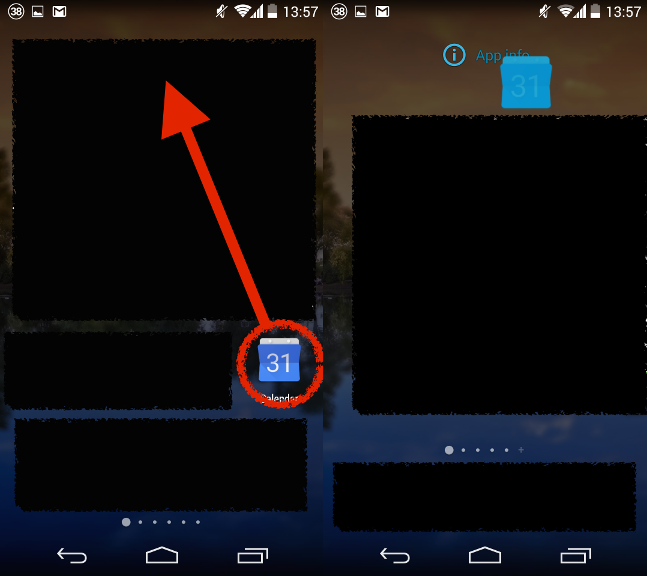 Open the apps menu, find the Calendar app and drag it to the top of the screen on the App info icon. This will open the properties of the app. In the App info screen press the Uninstall upgrades button and confirm twice. The upgrades are gone! You may already see the old calendar and check the version number. Wait for a minute or two so the app downloads your calendar events back. If you had a problem with the widget, a reboot of the phone should fix it.